Olympics work varied from small incentives to extensive brand experiences for 15 of the top 20 agencies directly involved. 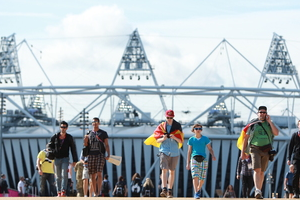 Staffing levels were given a boost to meet London 2012 Olympic Games demand for client events, while long-term projects also provided work for agencies. George P Johnson worked with clients including official Olympics network infrastructure partner Cisco, as well as Panasonic, Chobani and Tencent, with a total of 25,000 delegates involved in its Olympics projects. Meanwhile, Crown Business Communications carried out work for Locog and Transport for London. Adding an extra ten per cent to staffing levels in the logistics team and creative studio helped Crown BC deliver the work. Zibrant benefited from £6.2m worth of business through Olympics projects, which were for clients in the pharmaceutical and financial services industries, as well as a government contract. Around 1,850 delegates in total were involved in Zibrant's work, which included large accommodation requirements. Jack Morton Worldwide president EMEA Julian Pullan explained: "The Olympics has provided a unique opportunity for our industry, but our main challenge, much as it is for the country as a whole, will be achieving a lasting legacy." For more on Olympics-related events carried out by the top 20 agencies, according to C&IT’s State of the Industry report 2012, click here.